Pioneers in the industry, we offer cleaning machine for food industry from India. We are a reckoned name in the industry of manufacturing, exporting, importing and supplying a superior quality range of Cleaning Machine for Food Industry. The offered cleaning machine is developed by utilizing best quality material and sophisticated technology keeping in mind market standards. 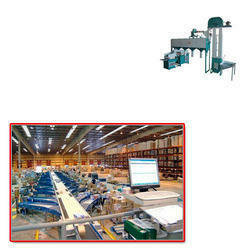 We provide this cleaning machine on varied specifications to choose from. Offered cleaning machine is high on demand among customers for its longer service life. Looking for Cleaning Machine for Food Industry ?